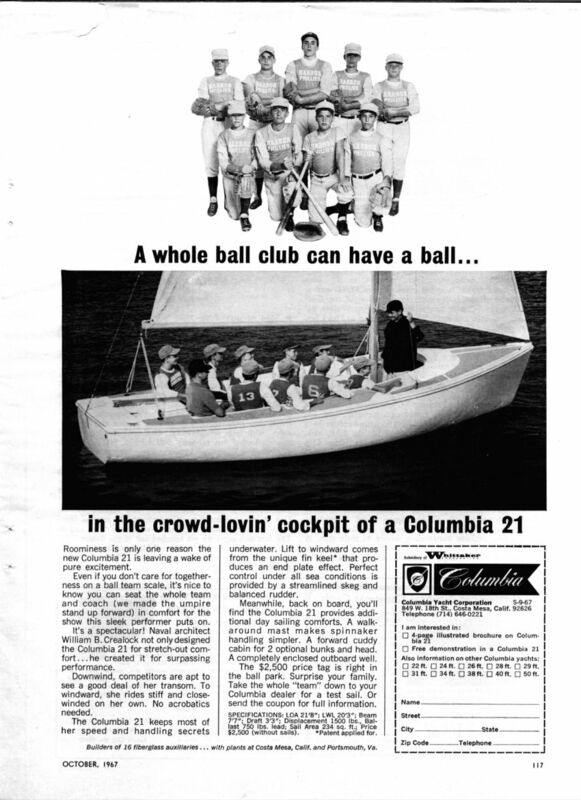 The Columbia 21 is an open cockpit sloop. Although it's set up as a day sailor the rudder is not transom hung as you would expect on a small boat. I'm sorry to report that I've come into possion of the S/N plate for Columbia C-21 serial number 001. 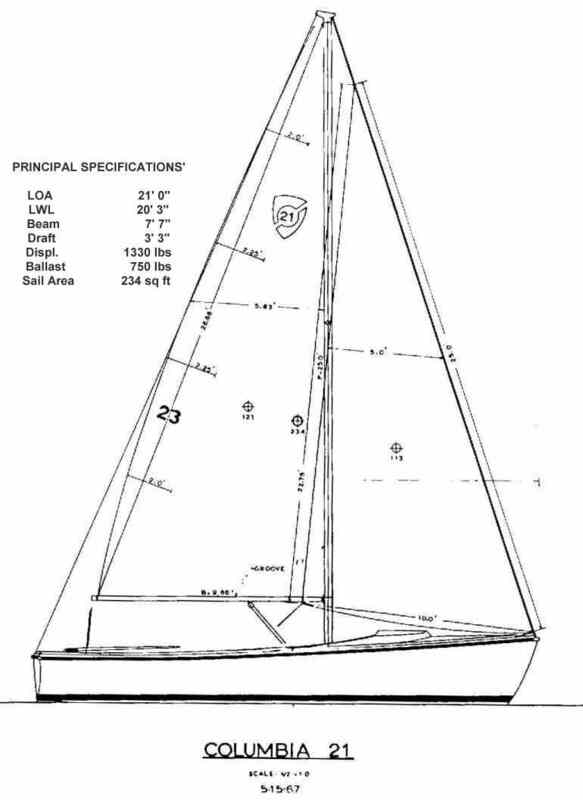 It had been donated to the local Sea Scouts and they tried to sell it. A buyer bought it for $100 then changed his mind and told them to keep the $100 and the boat. So they chained-sawed it up. I'd have bought it in a minute!